How many people multi-task daily? I know I do because I have so much to do in each 24-hour day. However, it does lead me to not get as much enjoyment out of each task. Mindfulness: Being Mindful in Your Everyday Life states that not focusing on one task at a time leads to living life on autopilot, stress, depression and anxiety. 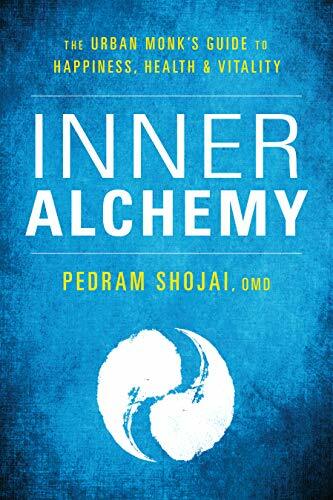 The book’s solution is mindfulness or paying attention to what you are doing right now. It has some easily adopted habits to put a bit of mindfulness into your day no matter how busy it is. At work, take a five-minute break to relax and just focus on your breathing. While walking during your usual tasks, focus on your feet hitting and lifting off the ground. When eating snacks, put them in a bowl so you won’t eat the whole bag distractly while watching tv or surfing the web. 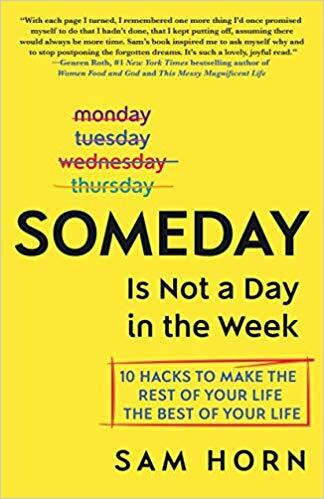 Even the book’s short length will save your time for mindfully doing something else. I read one much longer book about mindfulness previously. After about 100 pages, I decided that I just didn’t have the time or energy to spend 30 minutes a day to meditate in a quiet room. Mindfulness: Being Mindful in Your Everyday Life doesn’t require that kind of commitment. You can save time (and calories) by not eating a whole bag of chips. No one at work will know that you are focusing on your breathing at your desk. You can pay attention to the movement of your feet when walking into a grocery store or walking your dog. 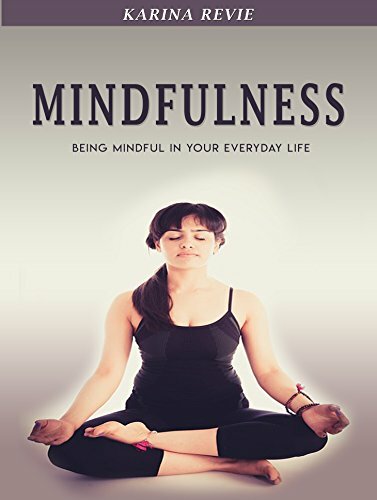 This book is highly recommended for those busy people who are intrigued by the idea of enjoying their life more but don’t want to spend much time to see if mindfulness is for them. 4 stars! Millennial new age look at how to clear the clutter from your life. There are some practical clutter removal tips scattered throughout Clutter Intervention: remove the easy stuff first, declutter fast to keep your energy high, and make a prioritized to do list of next steps. 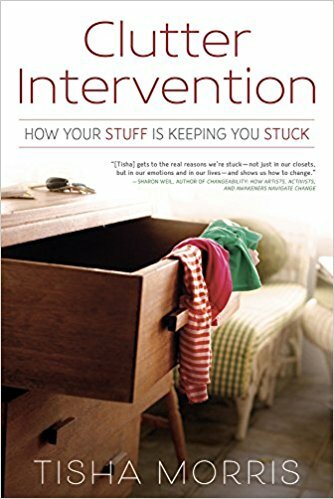 However, the majority of the book is about how to remove the emotional baggage that makes you want to keep stuff you never use or don’t fit into anymore. It may be an image of yourself from twenty years ago. It may be a gift that you didn’t even like when you received it. It may be mementos, paperwork or clothes from an old career. Unresolved grief may force you to keep a loved one’s stuff for sentimental reasons. Clutter Intervention uses some new age techniques like burning sage and using feng shui. Personally, that part wasn’t for me but people who already believe in that type of think will be thrilled to see how to incorporate into their decluttering process. The best part of the book was the digital decluttering section. This topic is seldom explored in decluttering books. 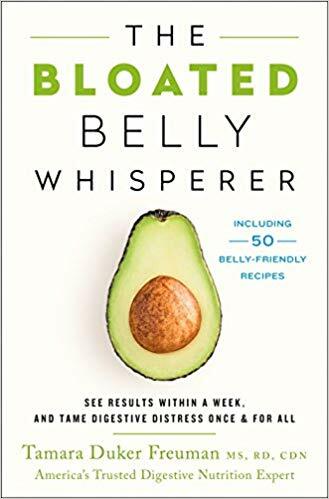 Ever since I read the gold standard of decluttering books, The Life-changing Magic of Tidying Up by Marie Kondo, I have been looking for a more practical decluttering book. I need a book with step-by-step lists of how to declutter. Typically, I do a great job in one room, get tired and don’t continue. Clutter Intervention did not satisfy that need. However, it is recommended for readers that are more open to the “why” of decluttering rather than the “how”. 3 stars. Thanks to the publisher, Llewellyn Publications, and NetGalley for an advanced copy. If you have ever thought about starting your own business or finding a nice side gig to augment your day job, Entrepreneurial You is for you. 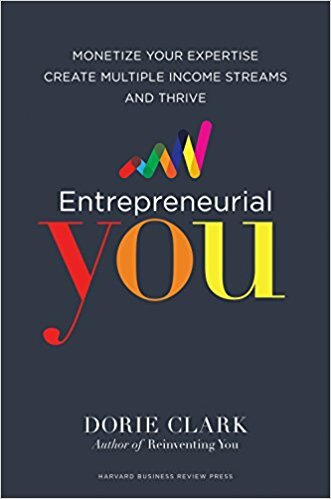 In just 272 pages, Entrepreneurial You contains enough tips for a stack of business books and several classes. The format is simple. Each chapter starts with a goal (i.e., Build Your Brand, Monetize Your Experience, Extend Your Reach and Impact Online). It then gives the reader several ways to accomplish each goal (speaking engagements, blogging, writing an eBook, etc.) Within each idea are practical ways to accomplish each goal. The best part is the Try This section at the end of each chapter. It lists either questions you should ask yourself or activities that can be used immediately to accomplish your goal. Each chapter builds on the last. The first few discuss how to determine your product or service, develop a price, decide on a market, and begin your business. Later chapters explain how to build an existing business up to a level to support both you and your family. It discusses how to hire employees and get crowdfunded. The book also mentions some pitfalls (i.e., focusing on low price high volume sales or display ad income is not a good start-up strategy). It has many real life examples of how other entrepreneurs have used the book’s tips and tricks to become successful. The author writes in a style that motivates the reader to get off their chair and start their new business! I chose Entrepreneurial You to help build my book blog’s brand and traffic. However, it is so great that I recommend it to anyone that watches Shark Tank and dreams of a better life than working for others can provide. There is no better step-by-step guide to starting a side gig or a full blown business. 5 stars. Thanks to the publisher, Harvard Business Review Press, and netgalley for an advanced review copy in exchange for an honest review. This book will be published on October 3, 2017. Perfect gift for females newly entering corporate America. 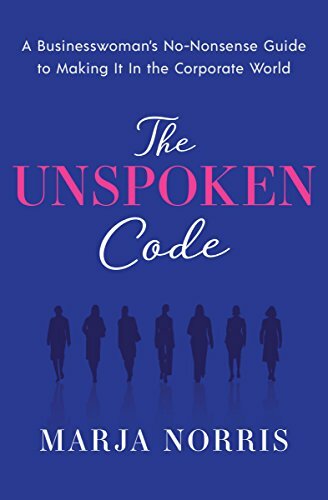 The Unspoken Code provides a good overview of how a woman who wants to achieve success in a man’s world should act. This book covers substantial ground from how to build confidence to how to dress for success. Unfortunately, many important topics are discussed in only a page or two before the author begins a new topic. Ms. Norris does use references that allow the reader to dig further into any particular interests. However, any of the three sections could have filled a book individually. The author’s main message is that complaining about inequality will not fix it. Only by many women breaking through the corporate upper management barrier will women truly achieve equality. Some of the sexual harassment that the author suggests should be endured doesn’t seem acceptable to me. I agree that role models like the Kardashians unfortunately encourage women to use their sexuality to further their goals. However, I don’t think it is unprofessional to wear no sleeve tops. I also wish the author had addressed the need or lack of need for stockings in the workplace during her dos and don’ts section. Overall, The Unspoken Code is best for workforce neophytes rather than women already climbing the corporate ladder.